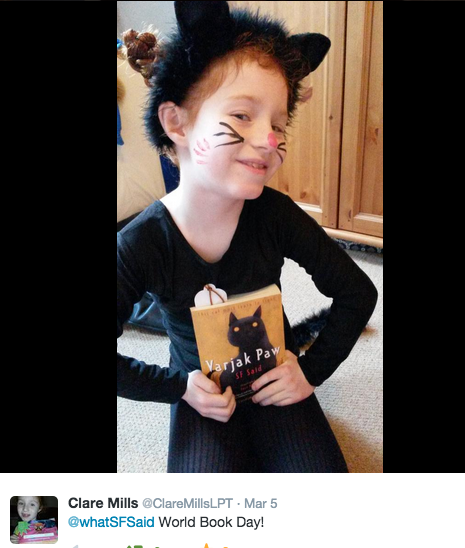 For World Book Day this year, I asked people on Twitter to send me photos of children dressed as characters from my books. I was amazed by the responses. 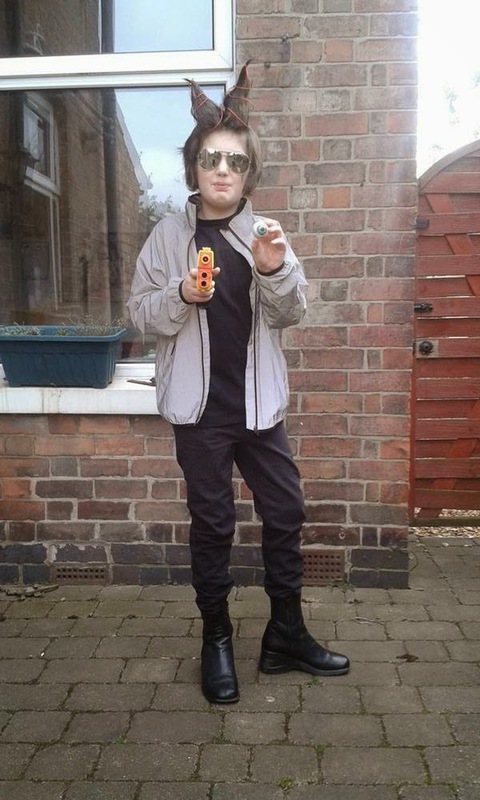 This is my favourite: a boy dressed as Frollix, one of the Axxa aliens from Phoenix. Look closely and you'll see he's got the horns, the hooves, the mirrorshades and even an eyeball! It was tweeted to me by @matildasbacon – thank you so much! Another favourite is this excellent gang of cats from Varjak Paw (or possibly The Outlaw Varjak Paw!) It was sent to my by Mercenfeld School in Leicester, who I had the pleasure of visiting earlier this year. 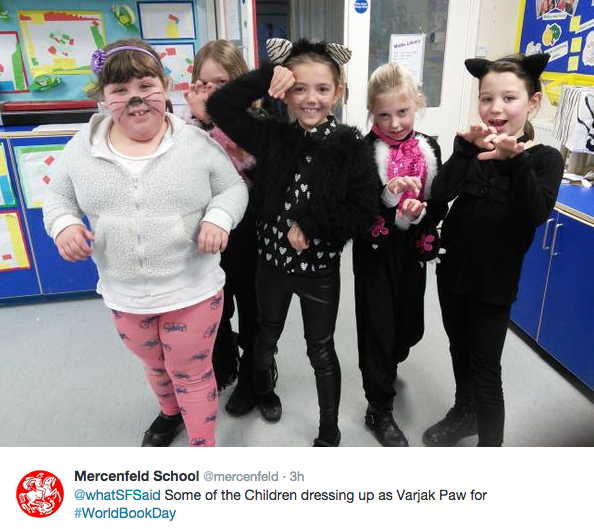 I love the costumes – and the cool cat poses! 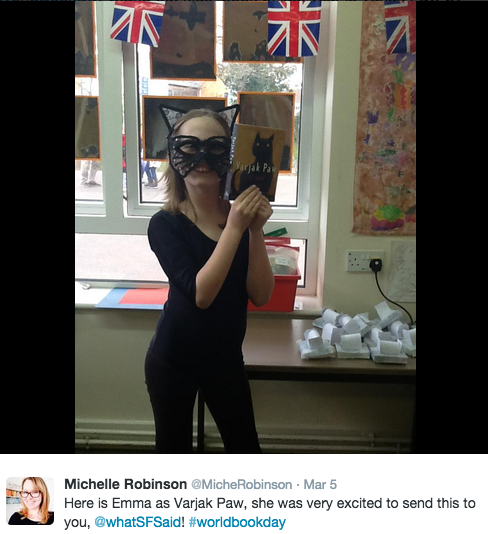 Meanwhile, here's Emma as Varjak Paw! This photo was sent to me by my brilliant fellow author Michelle Robinson. 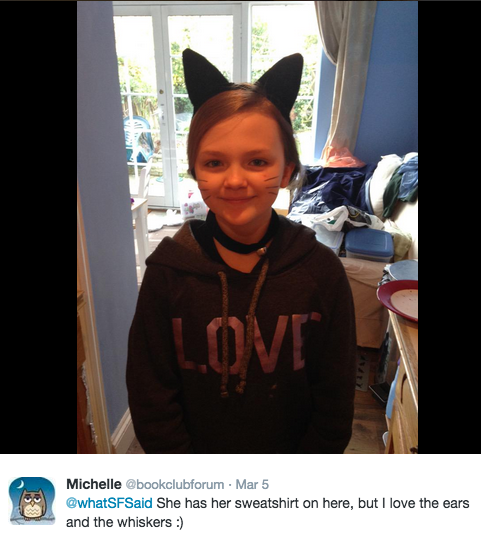 So thank you Michelle – and thank you Emma! @AmyLuvsKatz is another terrific Varjak – thank you @bookclubforum for the photo! 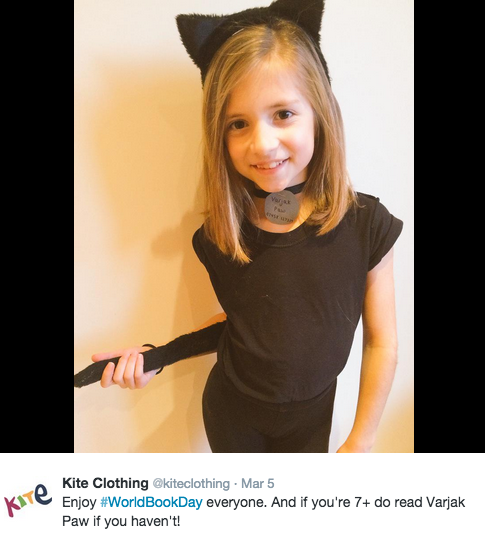 Here's a fab Varjak from @kiteclothing, with a very kind recommendation! And another wonderful Varjak, with great whiskers and nose, from @ClareMillsLPT! 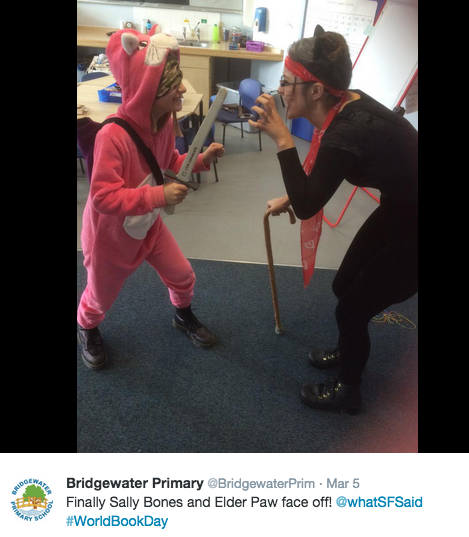 Meanwhile, over at Bridgewater Primary in Northampton, Sally Bones and the Elder Paw are facing off in deadly combat! 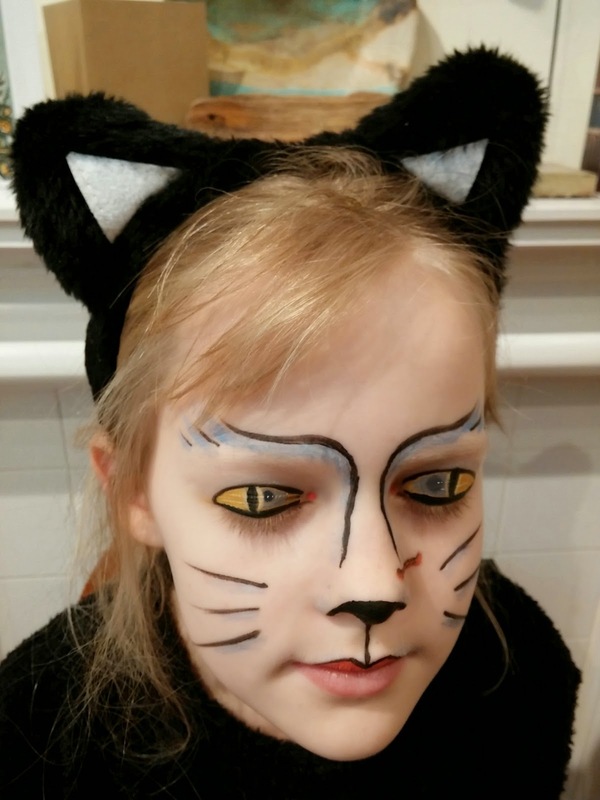 And finally, here's Oona as Varjak, with the most incredible cat make-up I think I've ever seen! Thank you Bridget Nicholls for the photo – and thank you Oona for an amazing piece of art! I'd like to finish by saying a very big and heartfelt THANK YOU to all my readers. When I see people dressing up as characters I created, or whenever I hear from readers that they've enjoyed my books, it makes all the hard work of writing feel worthwhile. That's an amazing thing for an author – so thank you all for keeping the Way alive! Thanks so much for the lovely comment, Lu! I think they are all amazing, but I agree - the Axxa costume from Phoenix is just out of this world!